Smart bulbs are big business. The likes of Philips, Misfit and Elgato all have app-controlled, wireless lighting options on the market and now Sony does too - albeit with a typical twist. The Sony LED Light Bulb Speaker is exactly what it says on the tin: a light bulb that also doubles up as a speaker. Because that's what you're life was missing, right? Mocking voice subsided and the latest Life Space UX product is actually not as daft as you might imagine - it'd be a nice product to have in an office or a kitchen for example. 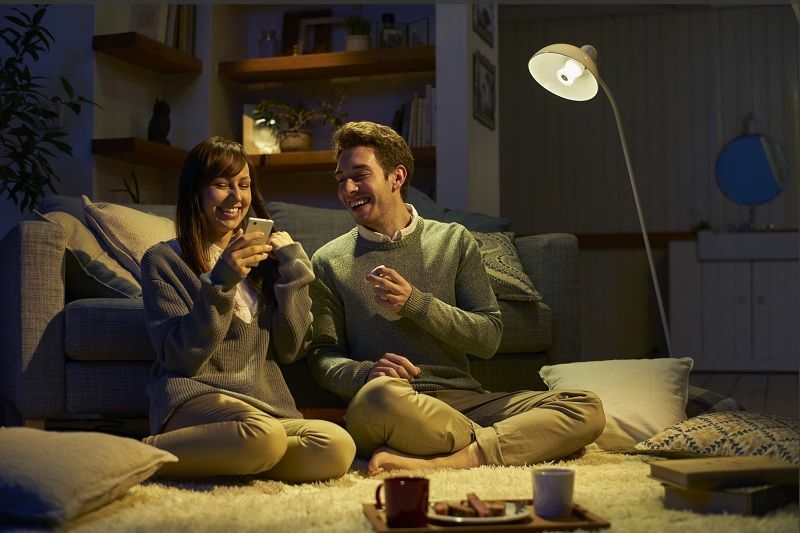 The 360 lumens smart bulb connects to a smartphone or tablet using Bluetooth and you're able to control the level of brightness and the volume of your tracks using the SongPal (iOS and Android) app. There's also an NFC remote if you'd prefer to control it that way and sound quality should be okayish thanks to the 40mm caliber and 2W output. There isn't millions of fancy colours, like the Philips Hue or the Osram Lightify; it's a simple lighting and sound offering. And it's actually not the first bulb / speaker combo on the market. The ION Shine ($100) lets you pair multiple bulbs for stereo sound and both the Olixar Light Beats ($30) and Mini Sun ($25) are not only cheaper than Sony's effort - which costs a stupid $199 - they also have more features such as colour patterns to match the music. Sony's LED Light Bulb Speaker goes on sale in Japan later this month. There's no word on a wider release as of yet.